Photographs by Max Wolf except as noted. Danny Click & the Hell Yeahs! Now in its 20th year, the festival expands from three days to four days. Duncan Phillips (Utah Phillips' son) and friends, with a tribute to Utah called "Bums on the Plush"
A special full set of Kate Wolf songs will be performed by various Festival musicians on Saturday night to help celebrate the 10th year. Nina Gerber hosts! 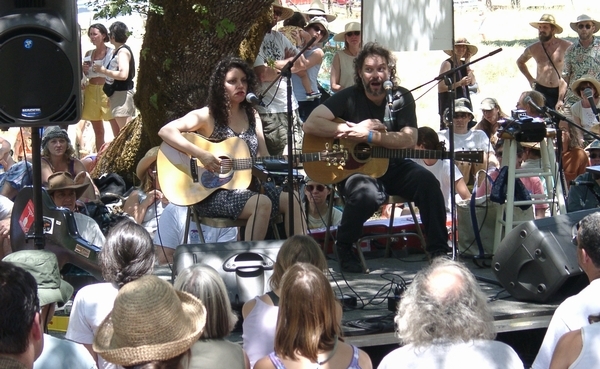 Tom Paxton, Rosalie Sorrels & Wavy Gravy "Hangin' with the Elders"
The Festival found a new home for 2001: Black Oak Ranch (home of the Hog Farm, Camp Winnarainbow, and the Pignic), in Laytonville (northern Mendocino County). This allowed the Festival to open up to campers who wanted to spend the entire weekend on site. The festival expands from two days to three days. The second festival expands greatly on the original concert. Since the original concert sold-out, and so many were unable to buy tickets, we've greatly increased the venue's capacity, lengthened the concert from six hours to seven, and added a second day. 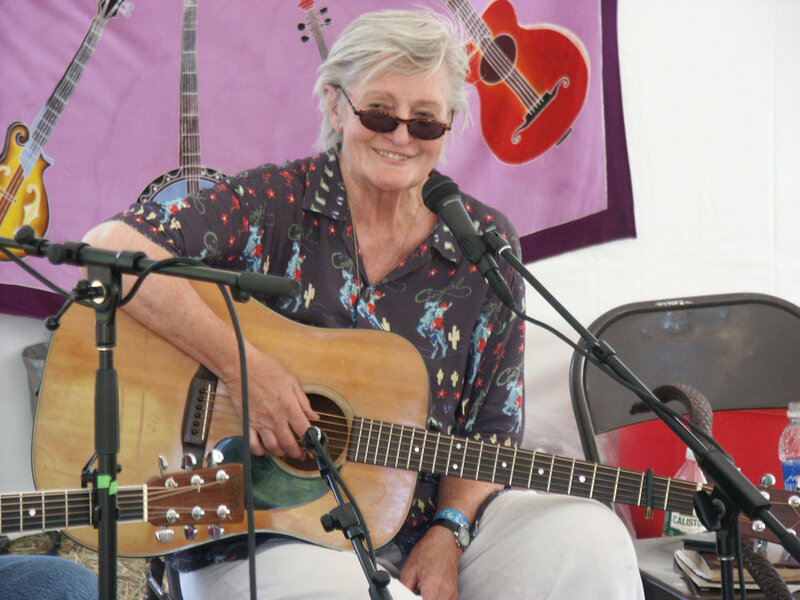 And although the concert is still in memory of Kate, we've expanded the variety of folk artists and encouraged them to play their own songs in addition to Kate's. * These are the three poets Kate wrote about in her song Poet's Heart. It had been several years since Kate’s musical friends and family joined together to celebrate her music. Well, on June 15th, we headed up to Sebastopol for a five-hour concert on the lawn amphitheater at beautiful Caswell Vineyards. 1,200 fans joined us for a sold-out afternoon of Kate’s songs performed by many of the folks she played with over the years. Those of us who enjoyed the shows and festivals that Kate organized in Sonoma felt right at home. Thanks to everyone's support, this concert became an annual festival in memory of Kate. In addition to being a treat for Kate Wolf fans, the concert benefited Sonoma County public radio station KRCB-FM and the Leukemia Foundation of America. 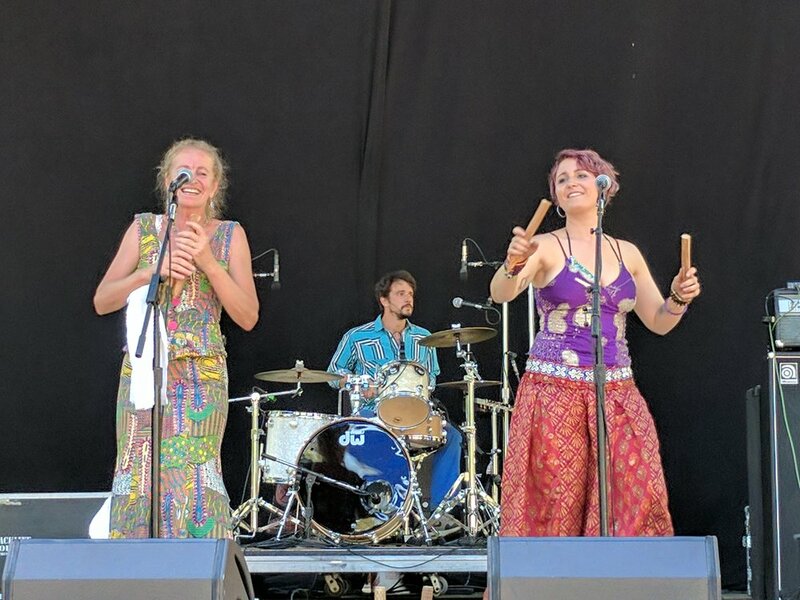 Kate's family would like to thank Cumulus Productions for organizing the event, Sonoma West Times & News and KRCB for sponsoring, and all the performers for supporting Kate's music. The natural amphitheater as Caswell Vineyards. 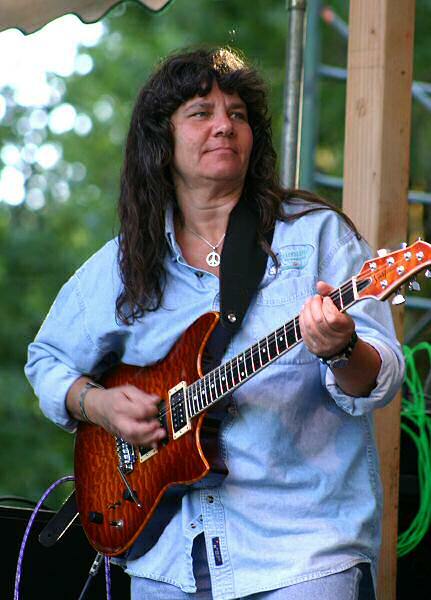 Join us at the next Kate Wolf Music Festival!